Here is a fascinating talk by a brain researcher, Jill Bolte Taylor, which has a wonderful description of the differences between left and right brain hemispheres, and their function, and ways of being. This relates to our discussion of ‘self’ this afternoon in the Voice Class. Enjoy! We finished up with a group humming and ‘ah’-ing improvisation, standing in a circle with shoulders touching, each person having the opportunity to stand in the centre for a time. It was a great experience, and there was much excitement at the end, that such amazing sounds had been possible, and that the vibrations could be felt in our bodies so profoundly. I just want to remind us all, that the voices we produced in the last 20 minutes of the session came as a result of the preparation undertaken during the first hour and 10 minutes! So, (nag, nag, nag…) do your warm-ups! Yes, it is indeed hot stuff from where I am sitting right now, with the fan blasting hot air into the hot space around me. 36 degrees Celcius, and rising, according to the weather bureau. But there is one good thing about sitting in an invisible ocean of hot air, and that is the conscious awareness of air as being something all pervasive in our lives. Usually we just take it for granted, never giving it a thought unless something interferes with our own personal supply. For actors, and singers, that often takes the form of a teacher or trainer asking you to ‘think about your breathing’. Immediately we do so, it all starts to go ‘pear-shaped’. Then the exercises turn into a process of doing consciously what we normally do unconsciously (breathing), only in the unconscious way, rather than the conscious way! That is where the Fitzmaurice work we touched upon last week is going to come in very handy. It is designed in such a way that we are conscious of breathing, but (eventually) unable, and/or unwilling to interfere with the process, and that allows us to extend the breathing capacity, to fine-tune it for our needs and ultimately to be responsive to the process of thinking/feeling/being/doing which is speaking out loud. The ‘Russian’ way I introduced you to last week works on similar principles. Do your vocal practice, and you are acting, or performing, however you like to term it. 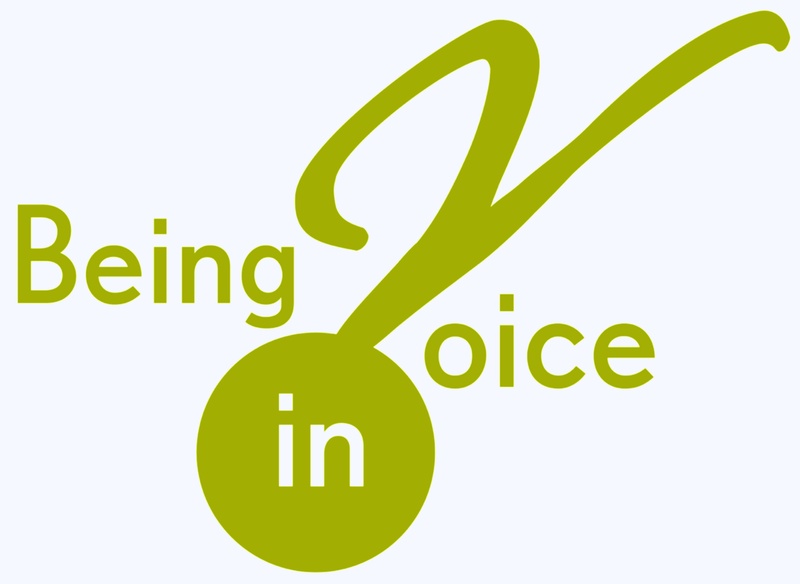 All voice work should be acting work – and vice versa! I have emailed the first part of the ‘full’ warm up program to class members. I have uploaded it here also, Full Warm Up Program for Performers Part 1 and if anyone would like to contact me for further information, or suggestions for future posts, please do so via the ‘comments’ section. Incidentally, if you haven’t already done so, please use the RSS link to ensure that all Being in Voice blogs are downloaded to your computer as they appear online. This week is just amazing! I have had the experience of working with both new and experienced actors as a teacher, as a student, and as a fellow performer, and also working with some very experienced narrators for the Queensland Narrating Service (QNS). For your information, QNS is a volunteer service providing recorded readings for people whose vision is impaired. They are always looking for keen readers to assist, so if you are interested, check out their website: http://www.connectqld.org.au. Increased narration speed: by this I mean the time it takes to narrate correctly on to tape; a decrease in the time taken from a high of 3:1 to 1.5 to 1. Reading is more interesting to listen to; for me too! Increase in fatigue threshold; I can keep at it longer. So what did we do in the workshop that had such a great effect? I’m telling you this just to reassure you that a little effort goes a long way – and a little bit more will take you even further. The new Acting Class began this morning, and as I was driving in I was struck by the thought that making connections is such a vital, necessary aspect of our lives. Think about it! And there you go, making connections. Signals firing across synapses in your brain, connecting up the neurons? I’m not sure if those are the right terms, but I do know that is how thinking works, by connections occurring. It is also how learning happens. From the moment we are born – before, actually – new experiences, and new information comes our way and is processed and made compatible with our view of the world by connecting to something we already know, or understand. It is added in AND absorbed. Sometimes it disappears completely inside the old information, and something is lost. Potential, perhaps. Possibilities. New information that does not change us in some way is wasted. So, the first Acting Class of the year was pretty exciting. We shared our fears, and our insecurities with a group of strangers. We tried some new exercises. Some of them felt like old exercises, and were nearly lost; some of them felt just too weird and were nearly rejected. Connections were made with old and familiar experiences, and some new thoughts emerged. Connections were made with different experiences, and sometimes conflicting thoughts made their presence known. During the course of the 3 hours, we all made our voices heard, and felt. We touched each other with our hands, and with our sounds. Connections were made. We have much, MUCH to share, and much room to grow. Thanks to all the students, who created that room. I am looking forward to next Sunday with much pleasure and excitement!